If you are a fan of Sony televisions, or just want to see what Sony has to offer, keep reading our unique and detailed reviews. 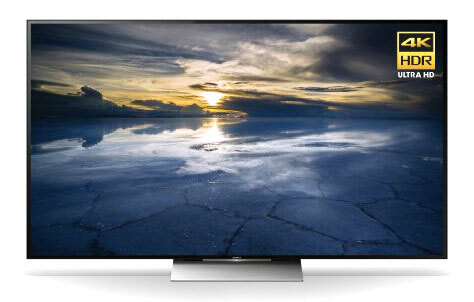 We’ve done all the work for you to show you the best and brightest of Sony’s TVs. You will learn what models and features are available, which will help you focus your search to find the right television for you. Be sure to read through each of our detailed reviews to give you an idea of Sony’s television lineup. The reviews give you priceless information about features, screen sizes and technologies. You can also see the pros and cons of each model to help you make an informed decision. We recommend you start by reading through our summary of the new 2017 TVs from Sony. This will give you a great summary of the TVs and their features. After the summary, you’ll see our recommendations for the best Sony TVs, which should make it as easy as possible to find the TV you’re looking for. 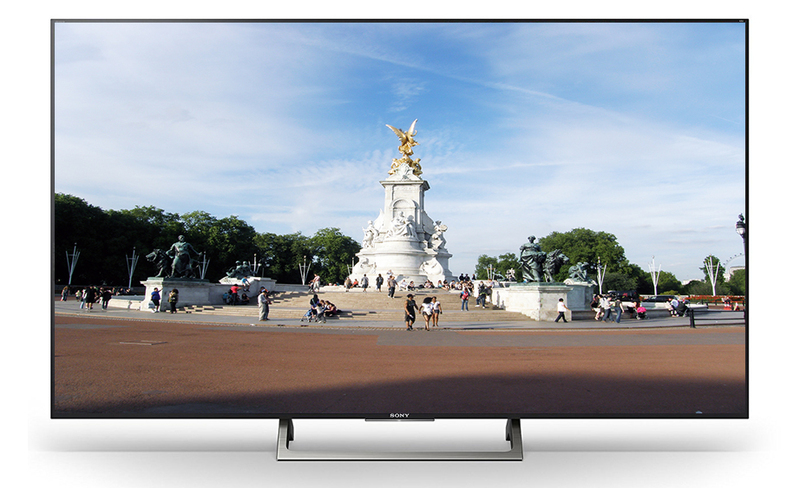 The Sony brand of quality is evident in the 850E TV series that offers choice of two screen sizes of 65 and 75 inches! Conspicuous evidence of the technological quality of the 850E is the contrast ratio, a measurement of the blacks and whites in a scene image. The higher the number of the contrast of black to white luminosity means greater quality to the overall picture viewing experience. The native contrast of the 850E TVs is 4510 to 1. This contrast ratio excellence is enhanced with Sony’s Dynamic Contrast Enhancer, 4K HDR X1 Processor, and HDR Remaster tech features. Enjoy home theater in dark or bright room settings because of the excellent contrast of blacks to white luminosity and good SDR color by reason of screen brightness. With a 120 Hz native refresh rate of color image transition and aided Sony’s Motionflow XR 960 and the X-Reality Pro that up-scales lower resolution images to 4K sharp clarity, motion blur and judder is non-existent. The low input lag time will bring smiles to all video gamers! The abundance of tech expertise that brings great contrast, smooth image transition, and low input lag time makes for a great TV viewing experience. The four screen sizes, 49, 55, 65, and 75 inches of the X900E TV models in a series brings same high end technology no matter the size of the screen and amazingly low prices! With that said, let’s move in closer to see the wonderful Sony tech expertise. The first thing to notice is the brightness of the screen’s color display. This is due to the SDR and the HDR color brightness capability. The SDR makes for an overall bright screen and thus greater color range seen while the HDR brings about overall brightness of dark to light colors in an image. This, with the local dimming feature, which will adjust the backlight panel when a dark scene image is on screen, brings about the all important contrast ratio. Sony’s use of X-tended Dynamic Range Pro, X-1 4K HDR Processor and 4K HDR is the reason behind the excellent contrast ratio. The native 120 Hz speed of color pixel transition with Motionflow XR 960 makes motion blur a non-issue and the input lag time, the time that elapses from original source to the TV screen, is low. All of this makes for a consumer win-win of good price with value. 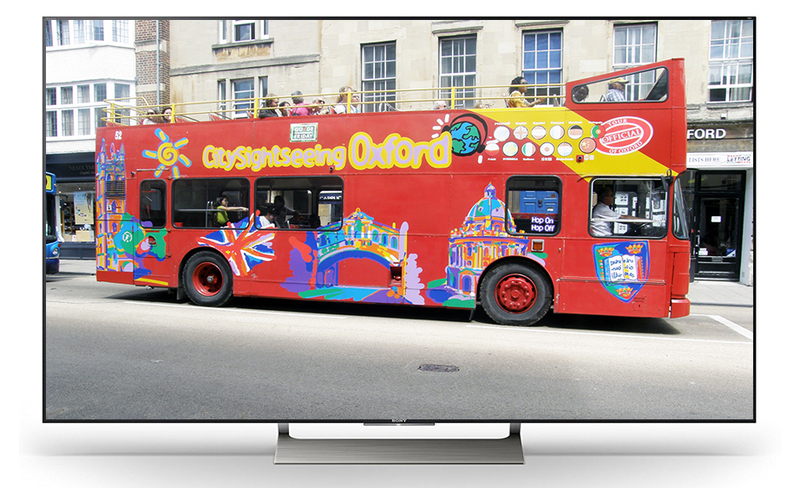 Sony technicians bring a quality viewing experience to the 55 and 65-inch Sony X930E TV models with the X-tended Dynamic Range tech application. Enjoy deep rich black tone along with excellent contrast ratio. 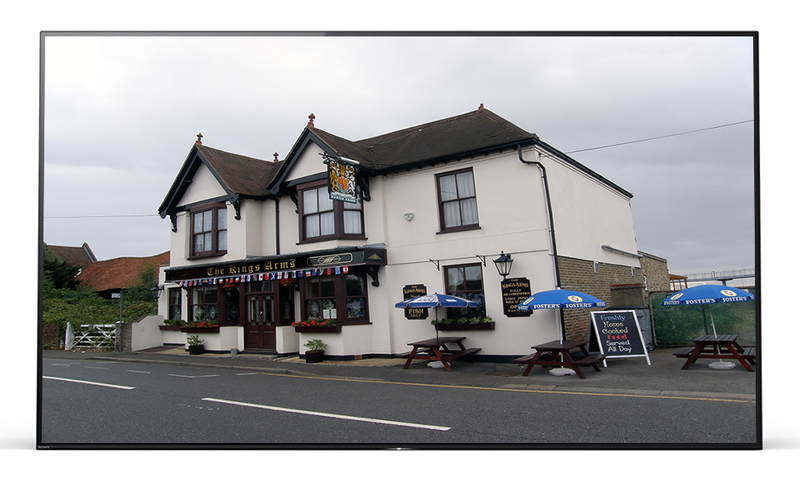 The X930E slim edge-lit backlight panel gives decent local dimming of darker scenes and, coupled with bright screen due to good SDR (Standard Dynamic Range) color saturation, enjoy the versatility of watching in dark or bright room settings. The refresh or response rate of color image to screen of the X930E is a native speed of 120 Hz, which means 120 frames per second moves across the screen. The Motionflow XR tech adds to the smooth flow of images and results in little to no motion blur or judder for fast action sports, movies, or video gaming. The HDMI technology, or High Dimension Multimedia Interface, connects to a variety of communication devices and supports most input signals via the 4 HDMI ports or the 3 USB ports. The HDMI connections can display input signals from either 480, 720 and 1080 pixels per inch to your 4K-screen resolution for constant content streaming. The sound volume and harmony is decent if kept at an average decibel range of 70. 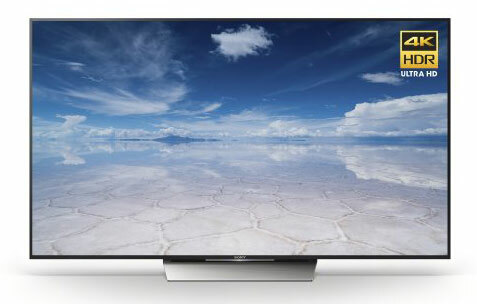 While LG was the innovator of OLED TV, Sony is a notable competitor with quality technological innovations as found in the Sony A1E OLED 4K TVs that uses an RGBW pixel structure in the manufacturing process that keeps the cost of OLED TV relatively low priced for the large screen choices of 55, 65, and 77 inches. The RGBW manufacturing process is not as sharp as authentic 4K-screen resolution but with the addition of the X-Reality Pro app and the large screen viewed at proper distance, consumers will hardly notice anything but exquisite contrast of lights and darks of images even when viewed at angle. Enjoy bright colors by reason of Sony’s own HDR X1 Extreme Processor. The 120 Hz processor and Motionflow XR app brings smoothness of image color transition with little motion blur. Whether you watch 4K content or lower resolution content the ‘lag time’ between the sources of content to screen is low and allows for abundance of streaming content thanks to 4 HDMI ports and 3 USB ports easily accessible on side of TV. Sound is impressive due to Sony’s own innovative acoustic sound technology that brings sound to come directly from the front of screen. The Sony X800E 4K TV has three screen choices of 43, 55, or 65 inches with a native 60 Hz processor speed and the Motionflow XR app to bring a smooth flow of frames per second to screen and very little motion blurring in fast action sports and gaming. The low input lag time most definitely reflects the Sony brand of excellence. The 4 HDMI port connections minimizes lag time as HDMI picks up a digital signal, always fast, from the source. There are also 3 USB ports with convenient side access. 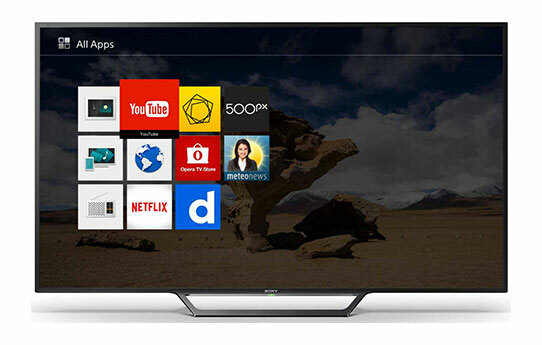 Sony’s X800E Smart TV platform is the new Android TV 7.0 Nougat that allows for quicker toggling between apps. Also new with this Smart TV operating system is the picture within a picture feature that lets a video from HDMI input show in top corner of screen even as you are searching apps on the main screen. Enjoy Chrome Cast which lets content be cast from smartphone or tablet to your TV screen. While the Sony X800E color contrast, black tone uniformity, local dimming and sound quality is ‘average’ in terms of usual Sony quality; The Sony quality makes it decent enough for those with tight household budgets. Sony pulled out all the stops with their 2016 TV lineup. With various screen sizes, 4K Ultra HD resolution and other technological innovations, there is a lot to like with their 2016 televisions. One thing you won’t find in the 2016 TVs is a curved screen. Sony sticks to the tried-and-true flat screen, which is fine. 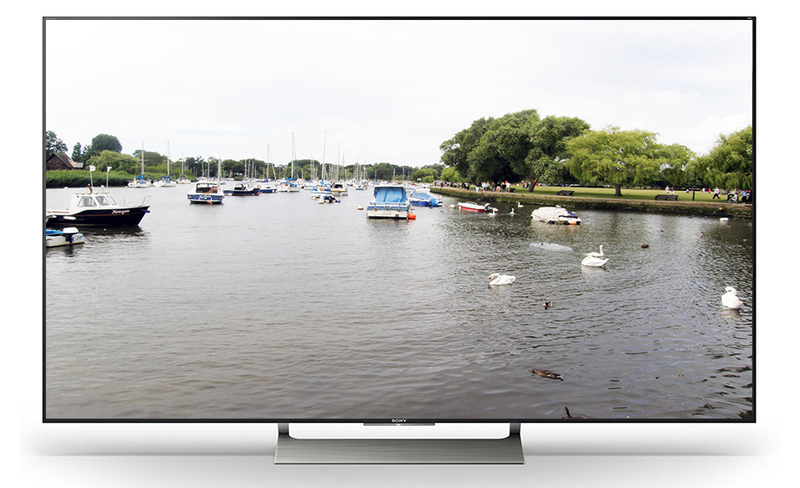 With full HD and Ultra HD resolutions, the flat aspect of Sony’s 2016 television is more than adequate. Another thing you won’t find, which many of you are probably very happy about, are the side-mounted speakers. Sony must have heard the feedback loud and clear, because many people didn’t like the speaker setup. Thankfully, they are a thing of the past. Enough about what you won’t find though, let’s dig into all the great things you will notice. First, many of the new televisions have a new backlight design and new color system. These two new technologies work very well together to produce bright displays that aren’t overpowering yet are also capable of producing excellent pictures for dark scenes. Of course, there are full HD and 4K resolution options, so image clarity and crispness aren’t an issue. The pictures look amazing from pretty much every angle. There is also Android TV, which lets you do voice searching and voice commands. 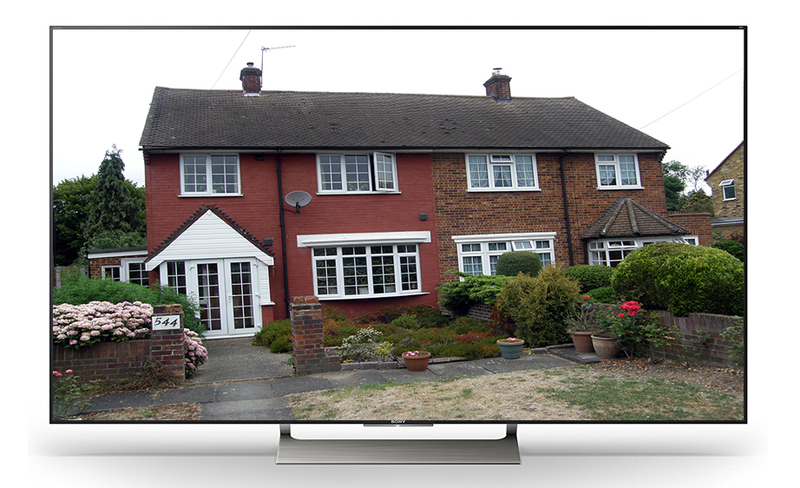 With a compatible hub, a Sony TV can also become the central point of your home automation system. Although you might not find a lot of differences between last year’s models, you will still be impressed with the 2016 lineup. Sony was smart to not mess with anything that was already working and added new technology in just the right places, resulting in an impressive lineup of televisions that are sure to be very popular.